Hrithik's father Rakesh Roshan tweeted: "Today is perhaps the best day to make the release day of Krrish 4 official. Christmas 2020 it is"
Krrish series is the follow-up of Hrithik and Rakesh Roshan's Koi... Mil Gaya, which released in 2003. Hrithik and Rakesh Roshan had announced Krrish 4 during Ganesh Chatuthi celebrations in 2016. "When my wife showed me a tweet with Bappa's picture as Krrish, it reaffirmed my belief that Krrish is the original superhero we have. It boosted my confidence and inspired me to make the fourth instalment," Rakesh Roshan said in a statement. Koi... Mil Gaya was inspired by Steven Spielberg's 1982 film ET while the Krrish films were about the titular superhero (played by Hrithik), who was born to Rohan (also Hrithik Roshan), the lead of Koi... Mil Gaya. The first Krrish film released in 2006 while the second film in the series, titled Krrish 3 hit the screens in 2013. Both the films featured Priyanka Chopra opposite Hrithik. The anti-hero of Krrish was Naseeruddin Shah while Vivek Oberoi played the antagonist in Krrish 3. As of now Hrithik Roshan is busy with Super 30, a biopic on mathematician Anand Kumar. 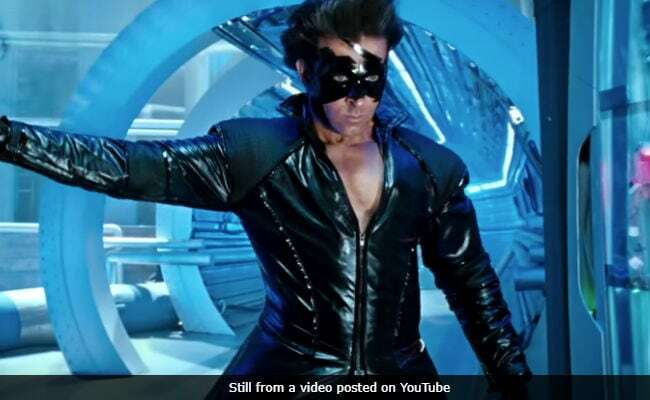 Are you excited for Krrish 4?